The place that Grotius holds in the history of international law and the laws which regulate war and peace is one that has been recognized at least since the 18th century, but more especially in the treaties and international agreements which emerged out of the major conflicts of the 20th century. In this discussion we want to explore what Grotius thought about the proper relationship between the laws of nature and the laws of nations, what limits (if any) can be legitimately and rightly placed on the conduct of states engaged in war, and to ask ourselves whether his insights have any relevance today. Another issue which will be debated is where does Grotius sit in the history of the classical liberal tradition? Do his ideas reinforce the power of the monarch (or modern state) to do practically anything they wish, or do they place real and binding restraints on what is permissible when one enters a state of war? Is he merely a transitional figure, or does his theory of the Rights of Peace have a more radical libertarian interpretation? Fernando R. Tesón is the Simon Eminent Scholar at Florida State University College of Law. Known for his scholarship relating political philosophy to international law (in particular his defense of humanitarian intervention), and his work on political rhetoric, Professor Tesón is author of Humanitarian Intervention: An Inquiry into Law and Morality (3rd ed. fully revised and updated, Transnational Publishers 2005); Rational Choice and Democratic Deliberation (Cambridge University Press 2006; with Guido Pincione); A Philosophy of International Law (Westview Press 1998); and many articles in law, philosophy, and international relations journals and collections of essays. He has served as a professor of law and affiliate professor of philosophy at Arizona State University, where he taught for 17 years prior to joining Florida State University’s faculty. Before entering academia, Professor Tesón was a career diplomat for the Argentina Foreign Ministry in Buenos Aires for four years. He resigned from the Argentine foreign service in 1981 to protest against the human rights abuses of the Argentine government. He has served as visiting professor at Cornell Law School, Indiana University School of Law, University of California Hastings College of Law, and the Oxford-George Washington International Human Rights Program, and is Permanent Visiting Professor, Universidad Torcuato Di Tella, Buenos Aires, Argentina. Hans W. Blom is visiting professor in the history department of Potsdam University (Germany), in the section of intellectual history. He was previously at Erasmus University Rotterdam (The Netherlands), with visiting research positions at King’s College, Cambridge, the RSSS-ANU in Canberra, the University of Buenos Aires, and the Institute for Research in the Humanities at the University of Wisconsin-Madison. His research focuses on the history of political thought with special attention to the interaction between the world of ideas and that of institutions. Professor Blom believes that economic thought and ideas are part and parcel of politics, and is particularly interested in tracing the presence and handling of economic issues in the period before Adam Smith, and their significance for the construction of classical political economy. Hans Blom has published widely on this and related topics: Causality and Morality in Politics (1995) and edited volumes on Monarchisms in the Age of Enlightenment: Liberty, Patriotism, and the Public Good (2007), and Property, Piracy and Punishment: Hugo Grotius on War and Booty in De iure praedae (2009). Presently he is editing Pieter de la Court’s Interest of Holland (1662) for Liberty Fund. Paul Carrese is professor of Political Science at the U.S. Air Force Academy, and co-founder and former director of its great-books honors program. He holds a doctorate from Boston College in political science, and master’s degrees from Oxford University in theology and in philosophy & politics. He has been a Rhodes Scholar, a research fellow at Harvard, a Fulbright Scholar at University of Delhi, and a Visiting Fellow in the James Madison Program, Politics Department Politics, Princeton University; he taught at Middlebury College before coming to the Academy in 1998. He teaches, researches, and publishes in political philosophy, constitutionalism, American political thought and constitutional law, and American foreign policy and grand strategy. He is the author of The Cloaking of Power: Montesquieu, Blackstone, and the Rise of Judicial Activism (Chicago, 2003; paperback, 2013), and his manuscript on the philosophy of moderation in constitutional democracies, Democracy in Moderation: Montesquieu, Tocqueville, and Sustainable Liberalism, is under review. He is co-editor of John Marshall's The Life of George Washington: Special Edition (2001); of Constitutionalism, Executive Power, and Popular Enlightenment (SUNY Press, forthcoming 2015); and, of American Grand Strategy: War, Justice, and Peace in American Political Thought, just contracted with Johns Hopkins University Press. In his monumental treatise, De Jure Belli ac Pacis (The Rights of War and Peace (1625), Dutch jurist and diplomat Hugo Grotius lays down not only the principles of international law, but also theories of property and punishment, and even a rudimentary sketch of social-contract theory. In this essay I examine Grotius’s views on war and the state, with a special emphasis on jurisprudential method. Many writers value Grotius because he was the first thinker to explore some of the themes of the Enlightenment. His work is located at the precise moment when the new ideas start to pull away from their medieval roots – a philosophical evolution that would culminate in the great works that cement the social-contract tradition. Grotius is, then, a transitional figure, and maybe for that reason it may seem unfair to compare him to the intellectual giants who came after him. Yet he deserves to be judged on his merits. I attempt to do so in this essay. Like many of his contemporaries, Grotius was a natural-law thinker. But the natural law he endorsed differed from that of his great predecessor, St. Thomas Aquinas. The differences are many, but two are salient. First, while Aquinas thought rational creatures accede to natural law by participating in the divine will, Grotius believed that natural law is discovered by human reason alone. For Grotius, God’s commands are binding because they comport with the Law of Nature (PD, 89-90). The second and more important difference is that Grotius’s version of natural law is less robust than Aquinas’s. To Grotius, natural law only commands us not to act contrary to Right; it does not command virtue, as in the Christian tradition. He divides the Law of Nature into two subsets. The first reflects our instincts (“First Impressions of Nature”), especially our impulse to survive. The second reflects our higher faculties of sociability and rationality (“Decorum”) (I.II. III, 188 ff.). Grotius thought that this second part of the Law of Nature was the more important because it urged us to restrain our instinctual behavior for the sake of sociability. Accordingly, natural-law rules are basic: we must refrain from behavior “repugnant to society.” More specifically, natural law enjoins us to abstain from that which is another’s, to restitute that which belongs to another, to fulfill our promises, to compensate damage we’ve caused, and to administer criminal punishment (PD, 86). This brings us to the central methodological problem that Grotius faces throughout the book: the relationship between natural law and positive law. According to Grotius, the Law of Nations, i.e., the laws that are “common to many nations and rulers of nations,” has three components. The first one is derived from natural law; the second is decreed by divine will; and the third one is created by custom (PD, 75). As we saw, natural law consists of a few prohibitions. A straightforward natural-law account, then, would be that the Law of Nations harbors moral norms derived from reason and positive norms enacted by human beings. Grotius’s natural-law ancestors thought that human law could not overrule natural law; arguably, that is what it means to hold a natural-law view. But this is not Grotius’s view. He says, reasonably enough, that the Law of Nations may not command what the Law of Nature prohibits (II.II.V, 493). But the Law of Nations may permit what the Law of Nature prohibits (III.IV.XV, 1290). For example, the Law of Nations may permit killing noncombatants in war, an act presumably prohibited by the Law of Nature. But while this new customary permission is inconsistent with natural law, Grotius, contrary to his fellow natural lawyers, insists that it is binding. By this Grotius does not mean the tautology that the new permission is legally binding. He means that the permission (for example, to kill noncombatants) is morally binding, so that others may not validly interfere with the agent’s acting on the permission (killing noncombatants). This is because pacta sunt servanda (“agreements must be kept”) is a central principle of the Law of Nature. The Law of Nature enjoins us not only to respect possessions but also to honor our agreements (PD, 86). Since the newly introduced permission is an agreement, it overrules the prior prohibition. Grotius is correct that a mere permission that derogates from an antecedent prohibitory norm does not offend that norm as much as a command to do that which the norm prohibits. Again, assume the Law of Nature prohibits killing noncombatants. If custom subsequently authorizes such killing, then it logically contradicts the prohibitory norm, since the latter says that sparing noncombatants is obligatory. The new permission defeats the purpose of the antecedent prohibition, which made the negation of the behavior in question (sparing noncombatants) obligatory. But it would be even worse if the Law of Nations commanded such killing, because in that case sparing noncombatants would be prohibited. That the Law of Nationspermits that which the Law of Nature prohibits means that people are authorized to comply with the Law of Nature if they so desire. The Law of Nature, then, is a complicated moral system. It prohibits rights violations unless people agree to violate rights, because there is a meta-norm, pacta sunt servanda, that controls the other norms in the system. In the absence of agreement the Law of Nature provides default rules that enjoin rights violations. The resulting normative system (the new permissions plus whatever default rules remain) is itselfobligatory by application of pacta sunt servanda. Only then can Grotius avoid the obvious implication that these permissions are morally invalid. If this reading is correct, then Grotius’s initial statement that the Law of Nations consists of divine commands, rationally accessible natural law, and human law, all coexisting peacefully, is inaccurate. Rather, Grotius’s real view is that in the Law of Nations consent reigns supreme, and only in the absence of consent do natural-law norms govern by default, except that consent cannot validly command what the Law of Nature prohibits. One may perhaps offer a (kind of) libertarian interpretation of Grotius’s claim, namely, that individuals can waive the rights that natural law accords them. The problem with this interpretation is that in Grotius’s examples the right-holders donot alienate their rights; rather, the monarchs agree among themselves to violate the rights of others. If the Law of Nature prohibits killing civilians, then (on any plausible libertarian account) only those civilians have standing to waive their rights not to be killed. So Grotius’s view cannot be read in this way. Rather, for him the derogations from the Law of Nature are agreed upon by governments. The Law of Nature, now via pacta sunt servanda, enjoins us to respect these agreements. This move saves Grotius from inconsistency, but it certainly undermines his natural-law credentials and his (presumed) commitment to individualism. Aside from this problem, Grotius’s method is quite messy because it does not allow us to tell when a rule belongs to the Law of Nature and when it belongs to the Law of Nations. The standard way to distinguish them is to make a philosophical argument in support of a moral rule and a legal argument in support of a legal rule. Grotius’s uses neither. In fact, he uses the samemethod throughout: he appeals to the opinions of the wise, the more ancient the better. To prove that a rule exists (in either the Law of Nature or the Law of Nations) Grotius cites a multitude of ancient authors, philosophers, poets, playwrights, biblical texts, and opinions by old monarchs as referenced by ancient historians. (See Grotius’s justification for this method at PD, 108-111.) For example, he sets out to prove the permissibility of war (against pacifists) by resorting to biblical account (I.II.185 ff.). Even conceding that this method may be suitable for ascertaining morality, it is unsuitable for ascertaining the law. The Law of Nations, as Grotius correctly says, is diplomatic practice, that is, custom and treaty. Yet Grotius cites virtually zero diplomatic practice in support of international-law rules, notwithstanding the fact that there was plenty of practice circa 1625. In the end, Grotius’s method is unsatisfying because he eschews philosophical argument to prove morality and eschews legal argument to prove international law. Here we should distinguish between international wars and civil wars (revolutions). With respect to international wars,Grotius follows the just-war tradition both by rejecting pacifism and by requiring a just cause for waging war. At the beginning of the treatise, Grotius is concerned with establishing the permissibility of war against pacifists. Maybe for that reason, he initially formulates the just-cause requirement in negative terms: a war that does not infringe on the rights of other nations is permissible (I.II.I, 184). This may create the impression that the default rule is the permissibility of war. On closer examination, however, this is not so. Later in the treatise he accurately distinguishes between reasons and motives for war (II.I.I, 389). Reasons are proper justifications, moral reasons; motives are prudential reasons. Only the former can constitute just cause: all wars should be “founded on the substantial basis of truth and justice” (II.I.I, 391). While most sovereigns wage war for a mix of motives and reasons (II.XXII.III, 1099), a war is just only if it is a reaction against an injury received (II.I.I.393). (Luban 2011: 306) Contrary to initial appearances, the default rule is not that war is permissible. Wars for reasons otherthan righting wrongs are disallowed. This reading is confirmed by Grotius’s listing of just causes for war. There are only three: self-defense, the recovery of what is ours, and punishment (II.I.I, 395). Grotius not only disallows self-interested reasons, such as territorial aggrandizement or national glory, he likewise rejects the “security dilemma” as a just cause: fear of a neighbor’s power is not enough. And he rejects paternalistic reasons: that possessors are “fools” is not enough reason to dispossess them (II.XXII, 1102-1113). His standard for national-self-defense is quite high: the force used must be necessary to defend ourselves against unjust attacks. And presciently, Grotius warns against self-delusion. A ruler may persuade himself too easily that he has a just cause and plunge into war on bad motives even if he has ostensibly good reasons (II.XXII, 1113). Grotius’s views here are quite visionary and announce the international-law developments of the late 20th century. 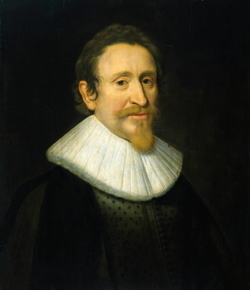 But it would be a mistake to equate Grotius’s view with the current legal position: Grotius thinks that recovery of one’s lawful possession is a just cause for war, whereas modern international law generally forbids this, at least when the unjust taking does not constitute an armed attack. Grotius takes quite a restrictive view of the right to resist authority. To be sure, he says that if the sovereign commands something against natural law, the subjects need not obey (I.IV.I, 337). This statement must be qualified in view of Grotius’s claim, already discussed, that law or custom may amend the Law of Nature by introducing enabling permissions. Suppose that the Law of Nature prohibits sovereigns from enslaving their subjects. If custom subsequently allows slavery, then the antecedent natural-law prohibition does not hold, and rulers are free to enslave. It is true that, strictly speaking, the law does not command slavery, but this is not much consolation to the slave. But what if the sovereign injures the subjects? They, Grotius tells us, must patiently endure the injuries and not resist them by force (I.IV.I, 338). Civil disobedience is fine; violent revolution is not. An unlimited right to resistance would undermine the end of the state, which is to secure “peace and good order.” He even says that if subjects had a right to resistance, there would be no state. (Compare with Kant 1996: 95-98.) And as a matter of practice, the right of resistance “is looked upon as unlawful, according to the Usage of all States” (I.IV.I, 340). So the argument is two-fold: as a matter of principle, the right to revolution is inconsistent with the end (and maybe the very idea) of a state, and as a matter of law, such right is unrecognized. Grotius veers dangerously close to upholding the divine right of kings as a justification of government. He quotes the scriptures for the view that God wanted us to endure iniquity at the hands of rulers. We must give to Caesar what is Caesar’s, and in this way we will be rewarded for that patience in the afterlife by the greatest of all sovereigns (I.IV.I, 344-45). Severe as Grotius’s principle of nonresistance is, it is not absolute. He concedes that subjects may forcibly resist the sovereign in cases of extreme necessity, when their own survival is threatened. He gives a hypothetical-consent argument: subjects are deemed to have agreed to civil authority to secure order and peace, but they are not deemed to have consented to their own extermination (I.IV.VII, 356 ff.). We saw that the threshold for revolution is higher than the threshold for foreign intervention, yet it is unclear what the difference may be. For intervention, the standard is “visible injustice … which no Good Man living can approve”; for revolution, the standard is survival. So in spite of what Grotius says, the two do not seem that different after all. And for Grotius this right to resist in extremis is not individually held. The historical examples he gives suggest that groups, not individuals, may legitimately revolt to prevent their own extermination – in modern words, to prevent genocide. Book III examines the laws of war. Grotius’s treatment is important because at the time he wrote, these laws were in their formative period. He first vindicates the morality of war against the adage inter arma enim silent leges (for among [times of] arms, the laws fall mute). When undertaken, war ought not to be carried “beyond the Bounds of Justice and Fidelity” (PD, 101). But Grotius’s approach is unusual. He first tells us what the Law of Nature requires. Simply put: we are allowed to kill the enemy because the enemy threatens us (III.I, 1185 ff.). We can also take his property, but only to the extent necessary to our security. These rights are independent of the enemy’s culpability or innocence. This right to use force includes punishment, but only “within the bounds of Equity,” so we are not entitled to kill or destroy in a manner disproportionate to the offense received (III, I, 1187). This approach to ius in bello (right conduct in war) is eminently reasonable, and it is generally followed in the modern literature and international conventions. But after laying down these reasonable natural-law principles, Grotius reports what the Law of Nations really says. The result is alarming. In rapid succession we are told that the subjects’ goods and bodies are owed for the Prince’s debts (III.II.II, 1232-34); that all, including women and children, who are found in the enemy’s territories may be killed or hurt (thus there is no principle obligating armies to discriminate between combatants and noncombatants) (III.IV.VIII-IX, 1281-84); that it is permissible to kill those who surrender (III.IV.X-XI-XII, 1284-88); that it is fine to waste and plunder (III.V.I-IV, 1303-12); and that prisoners of war and their families may be enslaved (III.VII.I, 1360-65). These are dramatic instances of the principle, already discussed, that positive law may permit that which the natural law prohibits. But here the permissions are so many and so inhumane that they virtually overrule the moral principles that Grotius defends at the beginning of Book III. The law of war circa 1625 (if we are to believe Grotius) was deeply immoral. Aware of this, Grotius invites his readers (sovereigns included) to set aside the horrible practices he just described and exercise moderation. In chapters XI to XXV Grotius essentially reverses many of the permissions introduced by the consent of states. He intends to “take away from those who make War almost all the Rights which I seem to have granted them; but which in Reality I have not” (III.X.I, 1411). Honor and conscience, he says, often forbid what the Law of Nations permits. Honor is not so much other-directed, but rather consists of the agent’s own search for equity and justice (III.X.I, 1413). This turnaround is welcome, of course, but conceptually puzzling. Are these moderate rules grounded in honor and conscience the same as the Law of Nature? Are these recommendations mere exhortations or, to the contrary, true descriptions of moral duties? If the latter, how is this new position consistent with Grotius’s view that custom may validly derogate from natural law? (See Forde 1993: 646-47.) It is hard to tell. What is clear is that Grotius believed that the practice of war fell far short of the standards of justice. If so, his recommendations are exhortations addressed to the powerful to humanize war, rather than a full-fledged philosophy of war. There is considerable scholarly disagreement about Grotius’s theory of the state. But this much can be said: Grotius thought that human institutions derived ultimately from human nature. Human beings have an “exquisite desire for Society” (PD, 84). This sociability is the “fountain of all Right” (PD, 86) that leads people to establish political institutions. But these institutions are manmade; they are the result of human will, of an agreement (PD, 93; II.II.II, 426-27). This social contract is morally binding in an indirect way. The Law of Nature, via sociability, leads individuals to arrange their affairs by enacting civil laws. (See Rabkin 1997: 297-98.) These civil laws are then binding on subjects because they agreed to them, whether or not the laws contradict some precept of the Law of Nature. Nowhere is this clearer than in Grotius’s discussion of private property. He thinks that God gave all men dominion in common of all things (II.II.II, 420-21). But over time, this idyllic state of affairs could not endure; for a variety of reasons, it was necessary to assign lands to families (II.II.II, 426-27). The institution of private property thus became the core of the civil laws, that is, the centerpiece of the state. The social contract determines mine and thine, and thus provides the substance for the operations of the Law of Nature itself. Recall that the Law of Nature enjoins us to respect rights. For Grotius, these rights are essentially property rights. It is worth noting that Grotius did not think that people would create political institutions only out of self-interest. He thought that individuals were capable of acting out of altruistic motives, and this partially altruistic disposition made the social contract possible. (See de Araujo 2009: 355-56.) There is a tension also between Grotius’s claim that things belonged originally to all men in common and his vindication of the right of original occupation (II.II.II, 421). Is this right also part of the Law of Nature, or is it a feature of the social contract? And does the right of occupation grant all the features of property or only the right to use? (See Salter 2001.) Finally, while Grotius is quite modern in his conception of the Law of Nature as resting on rights, he does not come close to endorsing a modern theory of constitutional rights – let alone endorsing any redistributive function of the state (understandably, given the period). Yet it is possible to formulate an updated liberal Grotian theory of the state. If the principle of self-ownership is accepted, then all rights invasions will constitute trespass and all modern constitutional rights may be conceived, in Grotian fashion, as property rights. Almost a century ago, a British commentator opined that Grotius “imitated the brevity and terseness of style of Tacitus without exhibiting the insight and penetration of his model. His philosophy of history is of the simplest and crudest nature.” (MacDonnell 1919: 18) And Thomas De Quincey blasted De Jure Belli ac Pacis: “Take away the Greek and Latin seasoning, which (in conjunction with the laconic style) has kept the book from putrefying, all the rest is pretty equally divided between empty truisms, on one hand, and time-serving Dutch falsehoods, on the other.” (Cited in MacDonnell 1919: 19.) While certainly Grotius’s scholarly stature pales in comparison to Hobbes, Locke, Kant, or Rousseau, these judgments are too harsh. Grotius prefigured, albeit in an embryonic fashion, some of the themes that came later. And if his views on war were intended for princes, this should be commended, not criticized. His central message to the powerful was imbued with a humanist spirit: international law (then as today, I might add) had not yet caught up with the demands of justice. [1.] All references are to Hugo Grotius, The Rights of War and Peace, 3 vol., edited by Richard Tuck (Liberty Fund, 2005). Following custom, the references are to the Preliminary Discourse (PD) or Book, as the case may be, chapter, section, and page. Fernando Tesón makes a good case for each of his readings of Grotius’s doctrine in The Rights of War and Peace. His readings may indeed be the best readings of the text. As an amateur reader of Grotius, I have no rational confidence that any of my alternative readings are better. Nevertheless, with that major caveat, I want to present very briefly a somewhat different vision of Grotius on the Law of Nature and the Law of Nations. In general I want to highlight features of Grotius’s doctrine that make Grotius an important forerunner of classical-liberal thought. Here I address only some of the ways in which Grotius is a herald of liberal theory. 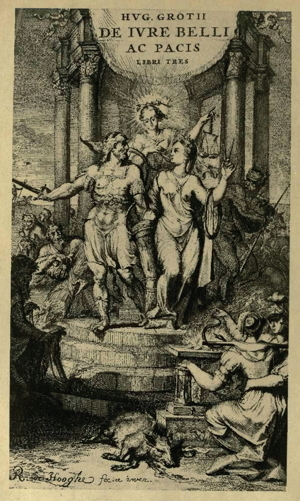 Grotius begins The Rights of War and Peace by saying that, rather than wanting to discuss the Civil Law, which differs from one nation to another, he wants to provide an account of “that Law, which is common to many Nations or Rulers of Nations, whether derived from Nature, or instituted by Divine Commands, or introduced by Custom and Consent…” (I. PD. I). Tesón reads Grotius to be announcing that he wants to study the Law of Nations and that Grotius takes the Law of Nations to consist of “divine commands, rationally accessible natural law, and human laws.” I disagree. To begin with, the “instituted by Divine Commands” was inserted by Grotius into the 1631 edition – apparently to placate the conservative officials who Grotius hoped would allow him to return to Holland from exile. Also, there are two distinct bodies of Law that are “common to many Nations or Rulers of nations.” There is the Law of Nature (which is “derived from Nature”) and there is the Law of Nations (which is “introduced by Custom and Consent”). So, at the beginning of The Rights of War and Peace, Grotius is saying that he wants to study the Law of Nature and the Law of Nations; moreover, Grotius is not taking the Law of Nature to be a constituent of the Law of Nations. In fact, the rest of the opening chapter, “The Preliminary Discourse,” is almost entirely about the Law of Nature (and not the Law of Nations). For Grotius’s immediate concern is to refute those – like Carneades – who reject the existence of the Law of Nature. We cannot here attempt to go through the details of this refutation. We can only note that Grotius holds that the foundation of Carneades’s challenge to the Law of Nature – i.e., to the idea of natural justice – is the proposition that the sole motive for all human action is the promotion of personal advantage. Grotius attacks this foundation by maintaining that there is a further important motive for human action, viz., “the Desire of Society,” which is “a certain Inclination to live with those of his own Kind, not in any Manner whatsoever, but peaceably, and in a Community regulated according to the best of his Understanding…” (I. PD. VI). The Desire of Society turns out not to be some generalized empathy but, rather, a disposition to live in accordance with rules, general compliance with which sustains mutually beneficial social order. We can discover through reason what the rules are that must generally be abided by if a mutually advantageous social order is to exist. Those rules, discovered by reason in light of the character of human beings and the circumstances of their existence, are the Laws of Nature. Or, somewhat more specifically, these rules are the Laws of Nature properly and strictly speaking. There are other rules that are guides to living well that are also part of the Law of Nature, though in an extended and less proper sense. The Desire of Society does not displace but, rather, exists alongside of the desire for personal advantage. The Laws of Nature do not displace the “first Duty” of nature which is for “every one to preserve himself in his natural State, to seek after those Things which are agreeable to Nature, and to avert those which are repugnant” (I. II. I.1). Rather, the Laws of Nature that arise through “the Knowledge of the Conformity of Things with Reason” (I. II. I.2) constrain the pursuit of personal advantage. So, e.g., Grotius cites Cicero citing Chrysippus to the effect that “There is no Injustice in seeking ones [sic] own advantage; but it is contrary to Equity to take away from another” (I. I. X.4. note 8). Although the Law of Nature constrains individuals in their pursuit of personal advantage, general compliance with those constraints makes mutually advantageous social interaction possible; moreover, one is admitted to that social interaction on the basis of one’s being compliant with the Law of Nature. Thus, according to Grotius, compliance with these constraints on how one pursues personal advantage is the key rational strategy for promoting one’s personal advantage. Thus, in a sense, Grotius seeks to hoist Carneades with his own petard. Yet, intriguingly, Grotius seems to argue that individuals will only get the payoff of mutual personal gain if they abide by the Law of Nature constraints for their own sake and not merely for the sake of those personal gains. “Right has not Interest merely for its End….” and “the Moment we recede from Right, we can depend upon nothing” (I. PD. XXIII). If we did not have the alternative motivation supplied by the Desire of Society, we would never fulfill the desire for personal advantage. The Law of Nations, like the Civil Law of particular nations, is the product of will rather than nature and reason. In ways that do not seem to me to fit very well with the traditional notion of the Law of Nations (jus gentium), Grotius writes as though the Law of Nations is a code of conduct that governs only the interactions of States or the rulers of States. It is said to be beneficial to States (or their rulers?) in some way that parallels the Civil Law of a given State being beneficial to that State (or the members of that State?). Rather than being a component or aspect of or handmaiden to jus naturale, the Law of Nations appears as an autonomous normative code that at most is slightly constrained by the Law of Nature. As Tesón indicates, the Law of Nature specifies the moral default position. If the Law of Nations does not speak to a matter – e.g., whether prisoners in war may be killed – the Law of Nature stance that war prisoners may not be killed holds. But if the Law of Nations speaks, its voice will sometimes override or displace the voice of the Law of Nature. As Tesón points out, according to Grotius, the Law of Nations can make permissible actions that are forbidden by the Law of Nature (III. IV. XV.1). So, e.g., the Law of Nations can (and does) make the killing of prisoners in war permissible. Indeed, the Law of Nations underwrites the whole of the doctrine of “Solemn War” that Grotius lays out in Book III of The Rights of War and Peace. A State is engaged in Solemn War if (and only if) it publically deliberates about and declares that war against a State or it becomes an “enemy” of another State through the other’s deliberation and declaration. There is a sense of “just” in which a war is just as long as it is Solemn. In this sense of “just,” all parties to a declared war are engaged in a just war. This stands in sharp contrast to the Law of Nature teaching that the only just wars are those conducted to defend against, to attain reparations for, or to punish natural injustices. Moreover, almost all the Law of Nature prohibitions on how war may be conducted, are overridden or displaced by permissions granted by the Law of Nations to engage in those naturally unjust modes of war-making. Also, these permissions concerning the conduct of war apply to all the States contesting in a Solemn War – even the State whose cause is unjust in the eyes of the Law of Nature. The result, as Tesón says, “is alarming.” Indeed, it seems that Grotius is eager to emphasize the barbarity of warfare in accordance with the Law of Nations. And, as Tesón also notes, we then get a remarkable reversal. For Grotius declares that on reflection, he must “take away from those that make War almost all the Rights, which I may seem to have granted them; which yet in Reality I have not” (III. X. I.1). Tesón rightly notes that it is not clear where this leaves Grotius. In the name of what – honor, charity, virtue, reason – are we to turn away from the dictates of the Law of Nations? Does this turn involve a general repudiation of the Law of Nations? If it does, why does Grotius expend so much time and space laying out the dictates of the Law of Nations? I like the radical hypothesis that Grotius does want us to jettison the Law of Nations as having prescriptive power. On this hypothesis, Grotius’s attention to the Law of Nations is attention to what he recognizes to be (part of) the positive law but not part of the prescriptively valid law. For there is a “double Meaning of the Word lawful, the one being taken for that which is really lawful in itself, the other for that which is only lawful externally” (III. X. I.3). The Law of Nations is to be denied prescriptive force primarily (at least) because it is or has come to be nothing but the Carneades-like sanctioning of unconstrained personal advantage. And that is precisely what Grotius has set out to rebut and cast aside in the name of the Law of Nature. (Note that Sallust’s proposition quoted as a summation of the Solemn War doctrine could as readily appear at the outset of Grotius’s treatise as an expression of the Carneadesian view.) Moreover, the primary values that Grotius invokes in support of his reversal against the Solemn War doctrine are precisely the Law of Nature values of Equity, Justice, and Reason (III. X. I.2 & II.1 & III.1 & VI.1). So, my wild hypothesis is that in the end, the Rights of Peace (which include the rights of naturally just war and naturally just conduct in war) vanquish the Rights of War. [2.] The attack on Carneades must be entirely on behalf of the Law of Nature because, according to Grotius, Carneades does not discuss and, hence, does not challenge the Law of Nations (I. PD. XVIII). [3.] Assuming the Law of Nature is not overridden or displaced within a particular State by the Civil Law (II. II. V). Fernando Tesón reminds us of the crucial importance of the distinction between the law of nature and the law of nations when it comes to the cause of liberty in the modern world. I agree with most of what Fernando has written on Grotius’s natural law, yet I would put some emphases different, and propose a divergent reading of Grotius. I believe that by constructing Grotius as a proponent of a deliberative theory of justice we can better understand both Grotius himself as well as the great impact he enjoyed in the 17th and 18th century. Fernando has proposed four main theses: 1) the law of nations makes the law of nature impotent, partly through a mechanism provided by the law of nature itself: pacta sunt servanda; 2) the right of resistance against the government, which is denied citizens because resistance would dissolve the state, is only allowed in extreme necessity; 3) warfare is to be humanized, and the appeal is to monarchs (governments) to do what is morally recommendable (the decorum); 4) private property might be the foundation for constitutional rights. The praetor renders justice, even when he pronounces an unjust sentence [IPB I.4.3 (p. 344)]. The Rights of War and Peace is mainly about war, and war is connected to justice by at least two strands: 1) the good of humanity and 2) the laws of war. Therefore both the law of nature and the law of nations apply to warfare. Hobbes and Pufendorf have famously argued that there is no law of nations in international law: each sovereign nation pursues its own interests on the authority of the law of nature. Grotius apparently doesn’t share that point of view. He sees – like an anthropologist – customs, practices, and regulations among (most, or the most advanced) nations, partly in the form of treaties, partly in the form of agreement among jurists: the water in wells ought not to be poisoned, ambassadors should be granted safe-conduct, etc. It is true that some of these customs are hair-raising: killing, robbing, and destroying was already prominent in the Old Testament, and hasn’t stopped since. Yet one might also try to find ways to escape the fate of war, by pursuing one’s rightful claims by legal means, and attempting when warfare is unavoidable to promote the common values of humanity that are shared among the nations. This is the famous Grotian Quest that went into the founding ideology of the Peace Palace in The Hague. Notwithstanding this, Grotius was a political realist, who agreed with Machiavelli that it is more important to describe politics as it is than to build a Utopia in the air. There is a strong element of reason of state in his writings in general, and in an intriguing way, in his natural law as well. The justice that is central to his concept of sociability and that of war is a minimal justice of property rights, but otherwise politics, including the civil laws that politicians legislate, is about utility. So it might happen that a government decrees that landed property can only belong to the nobility, as it was in Poland and in Brandenburg in the times of Grotius. Such a ruling does not prevent justice from being applied, even while it is unfortunate for the merchant or the farmer in such a country. Grotius would be the first to point out that such a ruling is also very disadvantageous to the well-being of the state, since it will lower agricultural production and chase away tradesmen and other commercial entrepreneurs. Since without a system of justice a state cannot exist, it is in the interest of that state to have a praetorial arrangement, with a concomitant interest in perfecting its system of justice as much as it can. The constitution of the state is the outcome of a historical process of adaptation, in which former agreements are replaced by new interpretations and arguments allow new agreements to arise. The great variety of constitutional forms in his days was ample proof of this historicity of the state. Consequently, Grotius makes the “more advanced nations” the benchmark for the contents of the law of nations, which in this respect is a kind of “secondary law of nature.” As such, this law of nations must be considered to be the “primary law of nations,” while the “secondary law of nations” is the purely volitional part of the law of nations. Pufendorf considered this distinction utterly unhelpful, for the good reason that if one considers all laws to express the will of their lawgiver (whether that is God or the sovereign), there is no place for intellectual exercises like the “consensus omnium.” the considered opinion of the wise. And that is precisely what a deliberative theory of justice would propose: institutions for public reasoning that allow agreements to appear. Agreements are the hallmark of truth, and to stand by one’s truth is an expression of character. But in the end, for Grotius there is no objective value, and everyone is the interpreter of his own interests, values, and preferences. It is on that basis that the praetor/judge is essential in any social form as the point at which to negotiate these interests, values, and preferences. It is for this reason that man has ratio and oratio, reason and speech, the two instruments for social deliberation. There has been something like an ideological war among natural law thinkers in the 17th and 18th centuries – to some extent replicated in present-day histories of natural law – and Grotius has been called as a witness on practically all of the contentious points. Consequently we have many different Grotiuses: Grotius the absolutist, according to Rousseau; the liberal (Adam Smith); the confused thinker (Pufendorf), and so on. Grotius’s natural law equally shows this capacity for multi-interpretability: the last of the Scholastics (Peter Haggenmacher), the first modern (Richard Tuck), or something in between (Annabel Brett). Grotius for sure is himself at least partly responsible since he likes to overargue his case by giving multiple arguments from different philosophical backgrounds (Aristotle, Plato, Stoics, Epicureans, and Skeptics) and from different literary sources (Bible, poets, classical philosophers , Scholastics). Look at how he describes the law of nature. It is “not those written laws, indeed, but the immutable laws of Heaven” (IPC, I, p. 16). “Baldus, who has wisely ruled that in any controversy arising between claimants of sovereign power the sole judge is natural reason, the arbiter of good and evil.” The laws of nature are ordained by God, but through his creation; they are discovered by the joint intelligence of mankind (the consent of all nations). Moreover, the distinction between the primary and secondary law of nature doesn’t help to clarify. And the law of nature can be known a priori and a posteriori. Grotius clearly misses an awareness of the issues that will become crucial for his successors in natural law. Yet there is method in this madness. Grotius has a habit of using unlikely candidates to speak in his support. In the Commentary, e.g., Grotius quotes Aristotle to support his notion of subjective rights against the Aristotelian conception of objective value. This type of forensic rhetoric has irritated his more philosophically minded readers, yet it should not distract one from seeing how effective Grotius was with this strategy. He inescapably introduced a legal and political individualism into the intellectual mindset of Protestant countries, together with a reworked cosmopolitanism meant to overcome the disastrous effects of reason-of-state politics. This legal and political individualism was considered to be central to the commercial success of the Dutch Republic, and thus permeated social and political thought all over Europe, sometimes in a more authoritarian fashion (Hobbes, Pufendorf, Rousseau), sometimes in a more libertarian fashion (Locke, Smith). Theologians wrestled with jurists, political thinkers with historians, and grand schemes of natural law took the place of Grotius’s attempts in the early 17th century to salvage justice from European warfare. But his success was more solid as it had become almost invisible. Fernando Tesón’s fine essay on Grotius is provocative on several points. My response explores his criticisms of the great jurist’s effort to propound a philosophy of international law. I will seek to question his verdict on Grotius through recourse to another jurist-turned-philosopher, Charles de Montesquieu. Grotius seems less confused, his philosophy of international right less perplexing and contradictory, if we read his On The Rights of War and Peace (1625) in the spirit of a jurist who seeks not abstract philosophical clarity, but an attractive argument likely to reduce the incidence of conflict – and ameliorate those wars that do occur – by bringing principles of law, thus restraint, into this prevalent mode of human affairs. Grotius’s complex mode of jurisprudence and philosophy deeply influenced Montesquieu’s efforts, a century later in On the Spirit of Laws (1748), to propound a philosophy of international right that declared principles of right to govern war, to promote peace and commerce, and thus to support the conditions for individual and political liberty. These jurists in turn deeply influenced the American founders in their effort, during the 1780s and 1790s, to construct a constitutional order and distinctive American grand strategy that would permit war only as part of a larger philosophy of peace, international order, protection of individual rights, and commerce. These are extraordinary achievements in human civilization, and it was this more complex or seeming paradoxical mode of philosophy that helped statesmen to promote liberty and civility. We should praise the lawyers – Hugo De Groot (Grotius) and Montesquieu, not to mention Professor Tesón – for their contributions to reorienting politics away from glory and conquest toward peaceful pursuits of individual rights, individual and communal happiness, and peaceful prosperity. We tend to take this for granted in the 21st-century world, since many of us hardly remember a time without a global order of liberal commerce and great-power peace. Moreover, my fellow academics tend to favor the more radical voices in philosophy who announce bright-line doctrines and novel systems, overlooking more moderate intellects who propose complex and balanced philosophies that straddle schools and offer fewer doctrines. If one extends the Enlightenment to include Grotius, then he and certainly Montesquieu exemplify the moderate Enlightenment – keen to consider the claims of modern philosophers for propounding radically new understandings of reality, truth, and right, but just as keen to temper those claims through awareness of the insights of classical and medieval thought that could not be discarded without impairing our understanding of human nature and political reality. Tesón gives credit to Grotius’s effort to restrict the definition of justifiable war, as being “quite visionary” and as prefiguring “the international law developments of the late 20th century,” but insists nonetheless that these achievements rest on an “inaccurate” view of the law of nations. Indeed, the jurist’s philosophical method is “messy” and “unsatisfying,” given its seemingly contradictory statements on the degree to which natural law governs the law of nations. At other moments, however, Tesón appreciates Grotius’s achievement more in the spirit in which it was intended, understanding that for Grotius the natural law is (in Tesón’s apt phrase) “a complicated moral system” in its relation to human practice, especially that of war and peace between nations. He notes that Grotius’s work was “intended for princes” rather than pure scholarly reflection, a decision that “should be commended, not criticized.” Indeed, Richard Tuck’s introduction to the splendid Liberty Fund edition of The Rights of War and Peace remarks on the work’s widespread influence, reaching beyond scholars to statesmen – noting that “General Washington, like most well-educated English gentlemen, possessed a copy” (Tuck, “Introduction,” xi). This is the better part of Tesón’s argument, suggesting that Grotius’s complicated, seemingly contradictory analyses of natural law and the law of nations accurately capture the reality of war, peace, and international affairs in a way likely to pull its leading actors toward moderating and ameliorating both thought and action, all with the aim of setting a more humane standard for political conduct. Montesquieu does not often cite by name the great jurists of international law such as Pufendorf or Grotius in his own influential work, The Spirit of Laws, but his private notes (the Pensées, translated by Henry Clark in a Liberty Fund edition) reveal that he was inspired by the erudition of Grotius. While drafting Spirit of Laws he wrote: “I give thanks to Messrs. Grotius and Pufendorf for having so well executed what a part of this work demanded of me, with that loftiness of genius which I would not have been able to attain.” Montesquieu in turn was the single most important influence on the drafting of the American Constitution and Bill of Rights, rivaled only by one of his protégés, Blackstone. Moreover, it is telling that voices of the moderate Enlightenment such as Grotius, Blackstone, and Montesquieu are cited throughout The Federalist, but more radical, analytically pure voices such as Hobbes and Locke are not invoked. If Washington, in his Farewell Address (1796), argued that America’s strategy should be to balance consideration of its interests with the strict guidance of universal principles of justice – and therefore avoid being entangled in Europe’s great power politics while also engaging in international commerce and undertaking temporary alliances as needed – then both Washington and his advisers were echoing the balanced philosophy of international affairs propounded by Grotius and refined by Montesquieu. Grotius announces a philosophical stance of moderation – of avoiding intellectual and practical extremes in search of a truer, higher, middle ground – from the beginning of De Jure Belli ac Pacis. He notes that the “monstrous barbarity” and “licentiousness” regarding war even among Christian nations induced some Christian thinkers to endorse pacifism; but this, he says, moves “too much to the opposite extreme.” His task is to find the golden mean, “as well to prevent believing that nothing, as that all things are lawful” in war (PD, secs. 29-30, 106-7; see Forde 1998, 639 and Zuckert 1994, 123, 343 n. 22). In a similar vein, Grotius defines human nature as oriented to society, but notes that society serves individual interest; and the same complex, balanced relation holds in the society of nations. Just as an individual that violates domestic laws with a view to narrow self-interest “thereby saps the foundation of his own perpetual interest,” so a nation that violates the common “reason” inherent in “the laws common to all nations” – found in “the laws of nature and nations” – merely “break[s] down the bulwarks of their future happiness and tranquility” (PD, sec. 19, 94-95). This balance of self-interest and sociability, indicative of Grotius’s philosophical moderation, informs his entire approach to the law of nations and its grounding in the law of nature. Grotius thus announces that a primary means to reducing conflict is to avoid giving grounds for conflict that might arise from strict claims about the linkage of the natural law and the law of nations. Allowing so many “permissions” by which the law of nations suspends adherence to the law of nature “cuts off infinite disputes” in international affairs ( II.12.26, p. 766; see Forde 1998, 643). Making strict adherence to natural law the standard for the law of nations “would be dangerous,” for if a third state were to “pronounce on the justice” of a conflict between two other states, “that state might quickly be involved in a war with other people.” Because “even in a just war it is very hard to judge” what are the right means of ius in bello, “it is far better to leave it to the conscience of the persons engaged in war” to judge such matters and make their case (III.4.4, 1275-77; see also III.9.4, 1386; Forde 1998, 645). This justification explains why Grotius turns in the last part of De Jure Belli ac Pacis to call for “moderation” regarding the grounds for war and its conduct. He has prepared for this turn all along. Beyond the effort to shame Christians in the broader arguments of the Preliminary Discourse and Book I, he invokes “the law of charity” repeatedly in the more detailed analyses of ius ad bellum and ius in bello. Thus the law of nature might permit us to risk the death of innocents to ensure self-preservation, but “the law of charity ... does not permit it” (II.1, p. 398; see also, e.g., III.2, p. 1243). These occasional references become a refrain once Grotius thematically emphasizes in Book III the importance of moderating, thus elevating, the conduct of states above the minimum standards permitted by the law of nations. Indeed, the law of love becomes the definition of “humane” conduct expected of civilized, dignified leaders and their peoples (e.g., III.13.4, 1478-79). It is true that Montesquieu insists upon refining Grotius; the latter’s argument for civility and humanity becomes, in The Spirit of Laws, a requirement of the right of nations. A pillar of this right, or law, is “the law of natural enlightenment,” which, says Montesquieu, “wants us to do to others what we would want to have done to us” – even in, or especially in, matters of war, security, and conquest (Montesquieu 1989, 10.3, p. 139). Nonetheless, as Montesquieu noted, he could not have developed this argument – which taught America’s constitutional founders such great respect for the law of nations and high standards of justice in international affairs – but for the genius of Grotius. [4.] Montesquieu, My Thoughts, ed. and tr. Henry Clark (Liberty Fund, 2012); no. 1537, at pp. 441-42; see also no. 1863, at p. 556; both passages point to the closing remarks of the Preface to Spirit of Laws, as well as to the analysis of the right of nations in Book I, chapter 3 and Book X. See also Tuck 1999: 184-87. [5.] Publius invokes Grotius in no. 20 (Madison) and no. 84 (Hamilton); see Hamilton, Madison, Jay, The Federalist: The Gideon Edition, ed. Carey and McClellan (Liberty Fund, 2001), pp. 96-97, 449. On Montesquieu’s influence, see Donald Lutz, “The Relative Influence of European Writers on Late Eighteenth-Century American Political Thought,” American Political Science Review vol. 78 (1984): 189-97. Moderation is explicitly invoked as an intellectual and political virtue in the opening and closing essays of The Federalist (no. 1, p. 2; no. 85, p. 453). [6.] All references are to Hugo Grotius, The Rights of War and Peace, 3 vol., edited by Richard Tuck (Liberty Fund, 2005). Following custom, the references are to the Preliminary Discourse (PD) or Book, as the case may be, chapter, section, and page. The excellent comments by Eric Mack, Hans Blom, and Paul Carrese have taught me a number of interesting things about Grotius and, in passing, have shown how little I know about this intriguing figure. I have no obvious counterpunch, and, like Eric, I suspect that the suggested readings are at least as good as mine, and probably better. So I will confine myself to a few general remarks. I must confess from the outset that I am one of those who, in the words of Paul Carrese, prefer analytical purity to political moderation. This is in great part adaptive behavior, because I am a bad historian and not particularly good at contextual analyses of philosophical argument. I learned a lot from Hans Blom’s skillful location of Grotius’s in the contemporary and modern literature. I was likewise marveled at Paul Carrese’s account of Grotius’s influence on the founders of this republic. And I particularly liked Eric Mack’s radical hypothesis that Grotius was inviting us to jettison the Law of Nations. The comments demonstrate conclusively, if there was any need, Grotius’s historical influence on both the politics and the philosophy of the day. Having said this, I’m afraid I’ll stand by my criticism of Grotius’s jurisprudential method. Put succinctly, his arguments are not very good. I mean his arguments, not his conclusions. I concur with Paul that De Jure is a manifesto for moderation, and I particularly like Eric’s and Hans’s suggestion that Grotius is, in different ways, a forerunner of modern liberal thought. But nothing I read from them has addressed to my satisfaction the conceptual problems that afflict De Jure. The first and less serious problem, not to repeat myself, is the somewhat arbitrary presentation of the Law of Nations, of international custom. Grotius would not have passed my international law course by quoting Seneca, Tacitus, and Carneades. One would have expected a leading jurist and diplomat to enlighten us about the international practices of his time. But the more serious problem is that his jurisprudential method fails to explain how moral truths bear on legal propositions. Being a natural lawyer is a tough way to make a living. Positivists have it easy: they simply point to social facts (laws, treaties, and custom) and say that they determine the content of legal propositions. But as soon as you summon the Law of Nature you must specify what exactly is a natural-law argument and how you think it treats the social facts of human law. St. Thomas Aquinas and Ronald Dworkin are two illustrious examples of efforts in that direction. But Grotius wavers between one and the other (sometimes, I fear, according to convenience) and in doing so he becomes vulnerable to the charge of arbitrariness. It is not a coincidence that writers see Grotius so differently, as Hans Blom reminds us. Positivists claim Grotius as one of their own because of his vindication of the Law of Nations as binding notwithstanding its demonstrable injustice. Natural lawyers also enlist him in their ranks because of his vindication of the Law of Nature in the Preliminary Discourse and elsewhere. But in my judgment Grotius did not present an intellectually satisfying integrated view, that is, a view that would calibrate the positivist and nonpositivist strands in his argument. Paul Carrese is absolutely right: Grotius eschews intellectual purity in favor of what works, what can persuade people. I will be the last to deny the importance of advocacy, but an argument’s historical importance or political success does not speak to its truth or quality. Advocacy, I would suggest, is a failure of political discourse, because its aim is to persuade and not to seek the truth. Was Grotius just an advocate? This is surely too harsh: keener minds than mine, including my commentators, have rendered a favorable verdict. But this does not relieve us from subjecting Grotius’s arguments to probing scrutiny. If we like his moderate views, we would want them to prevail in the realm of ideas, and not just in the messy arena of international politics. Both Fernando and Hans discuss briefly Grotius’s doctrine concerning a subject’s forcible resistance against his own sovereign. I want to return to this topic briefly because it provides another occasion on which Grotius seems to take a strongly illiberal and authoritarian stance and yet subsequently reverses that stance. Is this confusion on Grotius’s part? Is it moderation? Is it the inherently anti-authoritarian logic of his normative premises reasserting themselves? I, of course, would like to believe it is the third of these. Grotius proceeds to give a type of social-contract account for this obligation of nonresistance. All men begin with “… a Right to secure themselves from Injuries by Resistance….” But the establishment of the state requires that “the State has a Power to prohibit the unlimited Use of that Right….” Indeed, the state could not exist if “that promiscuous Right of Resistance” continued to exist (I. IV. II, 338). Grotius then solidifies the conclusion that resistance against even unjust harm by the sovereign is always unacceptable by assuming that even the limited use of a nonpromiscuous right of resistance must have been surrendered in the establishment of the state. However, as we move forward in this chapter, we get a striking reversal. Grotius tells us that “A more difficult Question is, whether the Law of Non-resistance obliges us in the most extreme and inevitable Danger.” After all, even “some of the Laws of GOD, however general they be, seem to admit of tacit Exceptions in Cases of extreme Necessity…” (I. IV. VII, 356). And now Grotius tells us that, although those who enter into civil society give up their unlimited (promiscuous) right to resist injuries at the hands of others, they are most plausibly understood as retaining a limited (discriminating) right to resist injuries. Grotius immediately considers the thought that, if not by contract, at least by “Divine Law,” subjects have a “rigorous Obligation to suffer death rather than at any Time to resist an Injury offered by the Civil Powers” – and he rejects this thought as well. Moreover, if I read him correctly, he goes on to say that it is even permissible for a small number of individuals – a small part of society – to forcibly resist such injuries. Wonderfully, Grotius invokes here the very Barclay – “the stoutest Assertor of Regal Power” -- whom Locke later describes as “that great assertor of the power and sacredness of kings” (Second Treatise, §232) and invokes on behalf of resistance. Fernando Tesón’s response interprets my view of Grotius as suggesting that the project of De Jure Belli ac Pacis was practical advocacy – seeking to prevent war, or meliorate its horrors – rather than a search for the truth of human affairs. If I gave that impression, that Grotius had chosen efficacy in the messy political world against understanding the truth about politics, then the error is mine. I should clarify my view that Grotius saw himself as within the broad Aristotelian tradition of political and moral philosophy, and thus of jurisprudence, in which truth is defined as an understanding that discerns how to practically improve human affairs so that we can better achieve the aims of our nature. I do not mean to deny, in advancing this view, that Grotius is a liberal and a modern. Apart from my trepidation at the prospect that Eric Mack and Hans Blom would pounce upon any such suggestion, I tried in my first response to indicate that Grotius – like his progeny Montesquieu and Blackstone – was an intentionally moderate sort of modern, liberal mind. This strain in the moderate Enlightenment sought to retain or revive elements of classical and medieval thought that would achieve the humane aims of modernity and liberalism more adequately than had the radical philosophies that repudiated the philosophical tradition to a substantial degree. That repudiation was undertaken both in the name of human progress and in the name of analytical clarity. When I averred that Grotius as a jurist and philosopher sought “not abstract philosophical clarity” but rather principles that would be likely to meliorate and humanize international affairs, I should have clarified immediately that Grotius did not see this as a binary choice between truth and efficacy. I did state, perhaps too late, that for Grotius a proper moral-political philosophy would balance the insights of several philosophical schools rather than adhering to strict doctrines of analytical clarity. This is because, for Grotius, the aim of such philosophy is to accurately capture the reality of war, peace, and international affairs. I did add that Grotius thought accuracy also would be likely to pull leading actors toward moderating and meliorating thought and action; but I should have clarified that this harmony of truth and humane efficacy is a product of Grotius’s kind of soft teleology about human affairs. As Eric Mack noted in his first response essay, Grotius adopts those elements of classical and medieval philosophy that define human nature as both oriented to sociability and interested in individual advantage. (I had cited PD, sec. 19, 94-95; see also, e.g., I.I.III-IV, 136-38, and II.II.XIII, 443-44.) Unlike Aristotle or Aquinas (to pick two philosophers holding this balanced, complex view of our nature), Grotius seems more to emphasize elements of individual liberty and property rights, and he emphasizes that our natural aim is social harmony, not political order per se. It is no accident that Aristotle and Aquinas, given their view of a complex human nature, defend private property, but nonetheless each holds that we are oriented to political union. This view tends to place priority on the political over the social, and thus gives less scope for individual liberty (although, Aquinas might be said to be a bridge from Aristotle to the modern, liberal views of Grotius, given that Aquinas defines our nature as being both social and political). My point was that Grotius’s view of a complex or balanced or moderate human nature – avoiding the opposing extremes of an asocial nature or a fully political nature – fit with a larger jurisprudence that sought to avoid the opposing extremes of pacifism or Machiavellism about war, peace, and international affairs. A proper conception of natural law, and of how it guides any positive law (including the law of nations in all its senses), would see the truth as helping us to achieve the aims of our nature. Grotius thus perpetuates Aristotle’s view that any science of human affairs (primarily ethics or political science, but also jurisprudence) should strive to attain only the clarity that accords with the subject matter, and therefore a philosopher should not seek the same level of precision in all arguments (Nicomachean Ethics, Book I, ch. 3, 1094b12-28). Indeed, Aristotle closes the Ethics by calling for a new discipline, political science, because in the practical human sciences it’s not good enough to achieve philosophical clarity in the abstract; one’s clarity has to be an achievable, practical standard both for individuals and political communities (Ethics, Book X, ch. 9, 1179a33ff). Perhaps what is missing from Grotius is a theoretical or conceptual statement of this philosophical moderation, i.e., avoiding either skepticism or a false analytical clarity; also missing is a clearer conceptual statement (of the sort Tesón seeks) of how he integrates his accounts of positive law (customary law of nations) and natural law (with its normative requirements). My own view is that if we adopt the Aristotelian conception of appropriate philosophical clarity, we at least can find such statements in Grotius’s work. (I had cited a few such moments.) His general project seeks a middle path between, on the one hand, a moralism that aims too high for human nature and human affairs and either is dismissed as impossible or unintentionally causes more harm than good, and on the other an immoral or amoral positivism regarding law and politics. I had cited some passages from Michael Zuckert’s analysis of Grotius, in which he finds moderation to be a central theme, but I close with a more specific conception of Grotius’s philosophical moderation that captures my point: in Zuckert’s view, “the deepest thrust of Grotius’s thought” is to move toward “both a very determinate and specific standard of right, a standard beyond the vicissitudes of religious and political controversy, and an effective standard, one that can stand up to the sneers of the Machiavellis of the world, who say that the natural law is ‘weak and unarmed’” (Zuckert 1994, p. 148, emphasis added). Grotius may not meet his own standard; it may be that another conception (more analytically pure) has a better standard of truth; still, it is important to discuss which standard we are using to judge Grotius’s efforts. Fernando Tesón rightly insists on a distinction that is part and parcel of modern international law: that between positivism and natural jurisprudence. I say rightly, because it is on these dimensions that modern international law developed. The question is: what has it to do with Grotius? And another: what with liberalism? The old distinction in Roman law was between ius civile and ius gentium, respectively, the law that applies to citizens of Rome and that which applies to all people indistinctively. For the practice of Roman imperialism, this was a useful distinction, no doubt, but it had nothing to do with international law: the normative cadre of Roman imperialism had its origins in the legal concepts of Roman ius civile. Thus part of the problem is the equivocal expression ius gentium, meaning both that law that is shared by all peoples and (yet only from somewhere around the 17th and 18th centuries) the law that holds between nations. For example, when in 1672 Samuel Pufendorf titled his magnum opus De iure naturae et gentium (On the Law of Nature and Nations) he made it a point of principle to identify the two, criticizing Grotius for failing to do so. About international law Pufendorf had preciously little to say, i.e., because he strongly believed that nations were in a state of nature relative to each other, and thus considered the law of nature sufficient as a normative context. Whatever Grotius and Pufendorf were discussing, it was not the status of international law, but the law of nature. And this is in the spirit of Grotius, who understood natural law indeed to be a set of normative principles that are valid independent of religious or political preferences. Hayek for good reasons questions the very idea of immutable principles – both the immutability and the principledness, evidently – and I would suggest that it makes best sense of Grotius to see him lean in that direction too. Why do we want to know the moral principles belonging to man? Grotius’s answer was that moral principles that mankind can universally agree on allow us to end and/or prevent wars, since wars are only justified in case of a lesion of these principles. This argument is circular, evidently, but the circle is sufficiently large to make it worthwhile. It is different with other agreements. People(s) can agree on many things: on religious obligations, on political obligations, on manifest destinies or tax regimes, on international alliances or trade agreements. All these agreements have the force of law implied in their respective agreements, and it is a separate intellectual and/or political game to sort out the precise implications of such arrangements. The effort to find out what moral principles are inherent in man’s nature is thus based on consensus, on reasons acceptable to all concerned. And here is the great difference with consent. When I consent to something, I am considered obligated because of the act of consenting. But when I agree to a reason, it is not the act of agreeing that has moral force on me, but the content of the reason. If I agree to become a slave (because I have good grounds to fear that I otherwise might be killed), then I engage in a legal form that is dictated by the polity I live in. In the times of Hobbes (who elaborated on this example from Grotius), slavery was accepted in many parts of the world. (See the discussion between John Cairns and Gustaaf van Nifterik in Grotiana vol. 22/23, 2001-2002, pp. 197-244.) Although one may doubt whether slavery conforms to the moral principles inherent in mankind, there was at that time no consensus that it did not. Besides, in the Grotian example the voluntary slaves are those taken prisoner in a just war and who have forfeited their property and life by unjust warfare. It is the Nuremberg Tribunal version of natural law, not the war of all against all of Hobbes. But no doubt later, “more advanced” ages have seen new consensus on reasons grow, and the direction of these new developments are in interesting ways in line with Grotian ideas. In John Rawls’s The Law of Peoples (Cambridge, Mass. : Harvard University Press, 1999), we find an important attempt to develop a consensus based universal set of moral principles. Mathias Risse’s On Global Justice is a more recent elaboration of a similar set-up. Interestingly, Risse takes recourse to Grotius throughout the book, claiming that especially in the concept of the earth as the common property of mankind, and in the way in which Grotius developed private property out of it, we find ingredients for global public reason. And thus it is all about liberalism as well, especially as it turns out that the basic ingredients that go into the equation are property and trade. Erick Mack’s reply to Fernando Tesón’s initial essay finds the two in agreement about a conflict in De Jure Belli ac Pacis – namely, that Grotius does not adequately explain how to harmonize his conceptions of natural law and the law of nations. They further agree that the better philosophical and jurisprudential element in Grotius is the natural law, the higher normative standards for war and peace. Mack then proposes a hypothesis, admittedly “radical” and “wild,” that Grotius intended to heighten the tension between these two kinds of law so that we would be compelled to jettison the customary law of nations given the moral and philosophical superiority of the law of nature. I learned from, and agree with, nearly all of Mack’s analysis of the Grotian conceptions of the laws of nature and of nations, and of the rights of peace and war. However, rather than finding in Grotius an irreconcilable conflict in these pairs – such that he ultimately seeks to discard the law of nations and rights of war in favor of the rights of peace that accord with the law of nature – I again suggest that the Grotian philosophy seeks a sound middle ground between extremes. It is possible that he seeks a balance or blend of views on the complicated relation between these kinds of law, especially given the analogous senses of “the law of nations” that he employs. Mack admits that Grotius uses “laws of nature” as polyvalent, with a focal sense and then (as Mack writes) “an extended and less proper sense.” (Mack also cites III.X.1, 1414, on the polyvalence of “law.”) In Grotius’s deployment of “the law of nations,” some passages emphasize the distinction between the two kinds of law (e.g., PD XLI, 112) – with natural law meaning inferences drawn from nature, while the law of nations derives from universal consent. Elsewhere he discusses “the right of nations” as considered to be derived from the right of nature (I.I.XIV, 163). Still elsewhere the law of nations merges with the law of nature: “By the law of nature then, which may also be called the law of nations, it is plain, that every kind of war is not to be condemned” (I.II.IV, 189). Upon this basis, I will recapitulate the moderate hypothesis by suggesting that Grotius’s emphasis in Book III of De Jure Belli ac Pacis on moderating and elevating the law of nations – so as to bring it up to the standards of the law of nature, justice, equity, and the Christian law of love (III.X and following) – is not so remarkable or extraordinary a turn. Throughout the three books he has noticed, and condemned, the gap between the customary law of nations and the law of nature regarding both ius ad bellum and ius in bello. This also is, for him, a gap between customary law of nations and the more legitimate law of nations grounded in or derived from nature (and thus from justice, equity, and the virtues both strictly rational and Christian). He seeks to close that gap. Mack argues that Grotius does so by jettisoning the law of nations with its rights of war, then building a new conception of “the rights of peace” on the proper law of nature. That would seem to turn Grotius in a pacifist, even Kantian direction that doesn’t comport with the complexity and balance of his philosophy. That said, the complexity of Grotius’s analysis, and of his ultimate effort to push the law of nations in a truer and more natural direction, leads us to these interpretative difficulties. He seeks to persuade elites in the Christian nations, and in nations seeking to be considered civilized, that legitimate reasons and laws must reflect not the minimal sense of the law of nations but the higher standard that pulls together the two laws, of nature and nations. Perhaps he seeks to demonstrate his encyclopedic understanding of all the reasons – excuses – rulers have for following the lower path of war as injustice, in hopes that this provides him a credible basis for pulling them toward a higher conception of justified, and more limited, war. Recent events remind us that rulers and diplomats can claim to abide by international law, and principles of democratic consent, while merely citing such scripture for brutal purposes. Grotius alerts us to the distinction, but in a way that retains a credible or realistic awareness of the presence of brute power in international affairs. Paul discusses and critiques my radical and wild hypothesis – that Grotius’s real message is that we should jettison the law of nations and place our hopes on the law of nature – with marvelous scholarly delicacy. Someday, when I grow up, I’d like to achieve a slither of that intellectual refinement. (But my hopes are very slim.) And, of course, Paul is correct to point out that Grotius gives different characterizations of the law of nations in different places; and that is a problem for my hypothesis. Moreover, there are particular moments in Grotius’s discussion of the morality of conduct in warfare that do not fit my suggestion that, if anything, Grotius seeks to exaggerate the brutality of law-of-nations norms and the nonbrutality of the counterpart law-of-nature norms. For example, had Grotius been dead set on emphasizing the brutality of law-of-nation norms, he would not have paused to say that the law of nations precludes the ravishing of the enemy’s women (III. IV. XIX.1). I also believe there is one instance in which the law of nations is said by Grotius to be more restrictive of conduct in war than the law of nature. But I have not been able to locate that instance in the text. Still, the contrast between what Grotius says the law of nations allows in warfare and what he says the law of nature allows is very striking. In case after case – e.g., the killing of bystanders, the killing of prisoners, the killing of those who have asked for quarter, the seizure of the property of the enemy’s subjects or the property of those who happen to be in the enemy’s territory, and so on – the law of nations is said to permit the conduct and the law of nature is said to prohibit it. Equally striking is the fact that Grotius does not say, “Well, there is the law-of-nations teaching and there is the law-of-nature teaching. We should attend seriously to both and (somehow) come up with stances that give each their considerable due weight.” Rather, at the beginning of his presentation of the law-of-nature teachings, he says that he must “take away from those that make War almost all the Rights, which I may seem to have granted them [under the law of nations]; which yet in Reality I have not” (III. X. I.1). So I think I at least want to stick by the claim that Grotius is on the verge of calling for the jettisoning of the law of nations – where this is understood as a body of norms quite distinct from the law of nature. I did offer, and I re-offer here, a supplementary hypothesis about why we find Grotius giving both law-of-nations and law-of-nature answers to questions about what is lawful in war. That hypothesis is that he is engaged in both a positive account of the law and a normative account of the law. I supported that account by citing Grotius’s remark that there is a “double Meaning of the Word lawful, the one being taken for that which is really lawful in itself, the other for that which is only lawful externally” (III. X. I.3). My thought is that Grotius is engaged in both this descriptive project and this normative project and that he is not clear enough in his own mind about the difference between these projects. In his initial essay, Fernando criticizes Grotius for not presenting a report of the actually accepted norms of warfare of his time. Presumably, the real law of nations for his time consisted in those actually accepted norms. Were those actually generally accepted practices of Grotius’s time less horrendous than what Grotius says is permissible under the law of nations? I certainly do not know – albeit, Shakespeare’s Henry V suggests less contemporary acceptance of the killing of prisoners than is found in Grotius’s recounting of the law of nations. Why do I raise this historical question? My reason is that, if the actual accepted norms of warfare of Grotius’s time were less horrendous than the law-of-nations norms that he recounts, one might take that as evidence that Grotius was going out of his way to give a horrifying picture of the law of nations. Hans Blom’s two essays in this conversation argue, as only a renowned Grotius scholar could do, that Grotius is a quite modern thinker about natural law, justice, and war. Blom also suggests that Grotius points toward postmodern conceptions of moral and political thought. That is, if postmodernism means the rejection of nature and immutable truth as the grounds for moral and political principles, then Blom seems to read Grotius as a proto-postmodernist. This interpretative issue has a direct bearing upon war, peace, and international security in our 21st-century world. This is especially so given the recent demonstration that a great-power state bordering Europe has little regard for international norms about settled international borders, or the illegitimacy of aggressive or revanchist military force. My practical claim is that if thinking about the law of nations is seen to rest only upon contemporary consensus, ever-revised – rather than resting upon the immutable ground of the law of nature – then international law loses much of its legitimacy and force. This practical claim in turn rests on an academic one – that, pace Blom, Grotius is not a proto-postmodern, but instead is a modern natural-law jurist who searches for the ground of immutable truth that should guide international conduct. Having staked the latter claim, I immediately will soften it. In fact I think my view of Grotius is not diametrically opposed to Blom’s. Still, if we do disagree, I avail myself of Grotius: when discussing the authority of Aristotle, Grotius echoes Aristotle’s own view that we must respect great philosophical minds but depart from them if need be “for the sake of finding truth” (De Jure Belli, PD XLVI, 123). Having cloaked myself with amicus Plato, I proceed to recklessly query a Grotius expert who offers two instructive contributions to our conversation. Blom argues that Grotius propounds a “deliberative theory of justice” as a constructivist conception of right and law. No individual or state has access to ground truth, so if we are to have peace and some kind of justice, we must work within institutions that establish “public reasoning.” These in turn allow peaceful arbitration and development of “agreements” on norms. (In his essay on the ius gentium, Blom emphasizes a contemporary “consensus” on “normative principles” as what Grotius means by natural law.) Blom declares: “in the end, for Grotius there is no objective value, and everyone is the interpreter of his own interests, values, and preferences.” Thus the Grotian appeals to “right” and “natural law” really endorse a process of debate, and recognition of institutions for arbitration and reconciliation of views, so as to construct norms for governing conduct. I agree with this view to the extent that Grotius is not a Kantian in search of a priori truths known purely by reason, without the corruptions of experience or consequences. That said, is a postmodern constructivism Grotius’s only alternative to this? If I were to invoke moderation here, I fear my partners in this dialogue will roll their eyes. Nonetheless I aver that Grotius held to a philosophical middle position between conventionalism (the opponent he confronts in opening the work) and philosophical absolutism, or a priorism. He does so as a jurist and theologian who was liberally educated in the Roman civil law as modified by Christian philosophy and jurisprudence. Central to that complex tradition is the balance between fixed but general principles of natural right on the one hand and, on the other, the individual’s judgment in discerning how to adhere to right in particular or changing circumstances. Grotius invokes these conceptions of prudence and judgment early in the work, and relies upon them throughout. For example, Grotius states that man is endowed by nature with “judgment” and must exercise “a right and sound judgment” in discerning what natural right requires; this in turn will guide a “prudent management” in exercising distributive justice with all its discriminations among competing elements (PD IX-X, 87-88). In discussing punishments – which are both a domestic matter and provide a rationale for war against offenders – he insists that the virtue of prudence is needed for both civil and international cases of wrong to discern whether and what punishment is due (II.20.IV, 972-75; see also II.20.XLIII, 1026-27). Aristotle thus was correct to declare prudence as “a virtue peculiar to” rulers (II.26.IV, 1179). I agree, therefore, that Grotius celebrates the jurist and statesman as arbiter, the embodiment of the distinction between peace and war. The capacity to reconcile disputes through mechanisms of law is indeed “the social function of rendering justice” (Blom) that we tend to take for granted, perhaps especially when we disagree with a particular verdict. Several early essays of The Federalist echo this Grotian view, applied to domestic and international contexts. The lack of courts or executive offices under the Articles of Confederation meant that disputes among states – or, failure of the Confederation to abide by international law for lack of offices to enforce it – exposed Americans to the dilemma of either permitting injustice or having recourse to violence. In no. 22, Publius (Hamilton) argues that the lack of such capacity is effectively a state of war (see also no. 3, no. 15, and no. 17 – by Jay and Hamilton). The sticking point is that Grotius employs prudence, and institutions of domestic law and international convention, to mediate between high principle and concrete circumstances – but prudence is guided by the fixed truths discerned by right reason. In international affairs there are several institutions that statesmen, jurists, and educators use to close the gap between natural law and the practice of the law of nations, seeking to raise the latter toward the former. These include courts with jurisdiction under the law of nations, and jurists such as Grotius who educate statesmen and jurists about the laws of nature and nations. There is much “process” here, but I don’t see Grotius elevating process and consensus over the search for immutable truths that rest upon nature. Liberty for individuals and states depends upon these immutable truths; and, the genius of constitutional regimes is to incorporate a Socratic openness to hear opposing views about what truth is and what it entails in particular circumstances. The defense of principles of liberty requires confidence that these are not just a product of contemporary construction, but are grounded in our nature. This is most especially true because we, or our fellow citizens, might be called upon to kill or be killed to defend these truths. The search for a Rawlsian “global public reason” may be one pillar upon which the Peace Palace in The Hague rests; but among the other pillars is the forcefulness of liberal states, leaders, and citizens to stand for these principles against actors who ignore or repudiate them. Grotius seeks to reduce war, but he also teaches that there come moments when the process of arbitration or deliberation can do no further good and actors must be confident that right reason and law endorse their actions to defend justice. Hugo Grotius, The Rights of War and Peace, edited and with an Introduction by Richard Tuck, from the Edition by Jean Barbeyrac (Indianapolis: Liberty Fund, 2005). 3 vols. </titles/1877>. Grotius, "THE PRELIMINARY DISCOURSE Concerning the Certainty of Right in general; and the Design of this Work in particular". Hugo Grotius, Commentary on the Law of Prize and Booty, ed. and with an Introduction by Martine Julia van Ittersum (Indianapolis: Liberty Fund, 2006). </titles/1718>. Collection: Natural Law and Enlightenment Series </groups/59>. De Araujo, Marcelo. “Hugo Grotius, Contractualism, and the Concept of Private Property: An Institutionalist Interpretation,” History of Philosophy Quarterly, vol. 26 (2009): 353. Hans W. Blom, “The Meaning of Trust: Fides between self-interest and appetitus societatis,” in The Roots of International Law / Les fondements du droit international: Liber Amicorum Peter Haggenmacher, Studies in the History of International Law 11/5, ed. by Vincent Chetail. Leiden: Brill, 2013, pp. 39-58. John Cairns and Gustaaf van Nifterik in Grotiana vol. 22/23, 2001-2002, pp. 197-244. Stephen Darwall, “Grotius at the Creation of Modern Moral Philosophy,” Archiv für Geschichte der Philosophie 94 (2012), pp. 296–325. Dobos, Ned. Insurrection and Intervention: The Two Faces of Sovereignty (Cambridge University Press, 2012). Forde, Steven. “Hugo Grotius on Ethics and War.” 1998. American Political Science Review, vol. 92: 639-48. Friedrich A. Hayek, Law, Legislation, and Liberty: A New Statement of the Liberal Principles of Justice and Political Economy, vol. 2 The Mirage of Social Justice (University of Chicago Press, 1976). Holzgrefe, J. L. “The Humanitarian Intervention Debate,” in Holzgrefe and Robert O. Keohane ed., Humanitarian Intervention: Ethical, Legal, and Political Dilemmas (Cambridge University Press, 2003): 15. Kant, Immanuel. The Metaphysics of Morals, Mary Gregor, ed. (Cambridge University Press, 1996). An older translation of this work is available in the OLL: Immanuel Kant, The Metaphysics of Ethics by Immanuel Kant, trans. J.W. Semple, ed. with Iintroduction by Rev. Henry Calderwood (Edinburgh: T. & T. Clark, 1886) (3rd edition). </titles/1443>. Luban, David. “War as Punishment,” Philosophy and Public Affairs, vol. 39 (2012): 299. John S. Dryzek, “The Deliberative Democrat’s Idea of Justice,” European Journal of Political Theory, 12/4 (2013), pp. 329-46. MacDonnell. “Paper Read before the Grotius Society,” Transactions of the Grotius Society, vol. 5 (1919): xvii-xxiii. Eric Mack: Liberty Matters:"John Locke on Property" (January 2013). Montesquieu, Charles de. My Thoughts. 1720-1755. Ed and tr. Henry Clark. Liberty Fund, 2012. _____. The Spirit of the Laws. 1748. Ed. and tr. Cohler, Miller, and Stone (Cambridge University Press, 1989). Rabkin, Jeremy. “Grotius Vattel, and Locke: An Older View of Liberalism and Nationality,” Review of Politics, vol. 59 (1997): 293. John Rawls, The Law of Peoples (Cambridge, Mass. : Harvard University Press, 1999). Mathias Risse, On Global Justice (Princeton: Princeton University Press, 2012). Salter, John. “Hugo Grotius: Property and Consent,” Political Theory, vol. 29 (2001): 537. Amartya Sen, The idea of Justice, London: Allen Lane, 2009. Benjamin Straumann, “Oikeiosis and appetitus societatis: Hugo Grotius’ Ciceronian argument for natural law and just war,” Grotiana (New Series) vol. 24/25 (2003/2004) pp. 41–66. Benjamin Straumann, “Is Modern Liberty Ancient? Roman Remedies and Natural Rights in Hugo Grotius’s Early Works on Natural Law,” Law and History Review 27 (2009), 55-85. Fernando R. Tesón, Humanitarian Intervention: An Inquiry into Law and Morality (3rd ed. fully revised and updated, Transnational Publishers 2005). Fernando R. Tesón, Rational Choice and Democratic Deliberation (Cambridge University Press 2006; with Guido Pincione). Fernando R. Tesón, A Philosophy of International Law (Westview Press 1998). Tuck, Richard. 1999. The Rights of War and Peace: Political Thought and the International Order from Grotius to Kant (Oxford University Press). Zuckert, Michael. 1994. “The Master of Whig Political Philosophy.” In Natural Rights and the New Republicanism. Princeton University Press. 119-149.